On this day in 1744, a young lady passed away whose name had become synonymous with scandal. 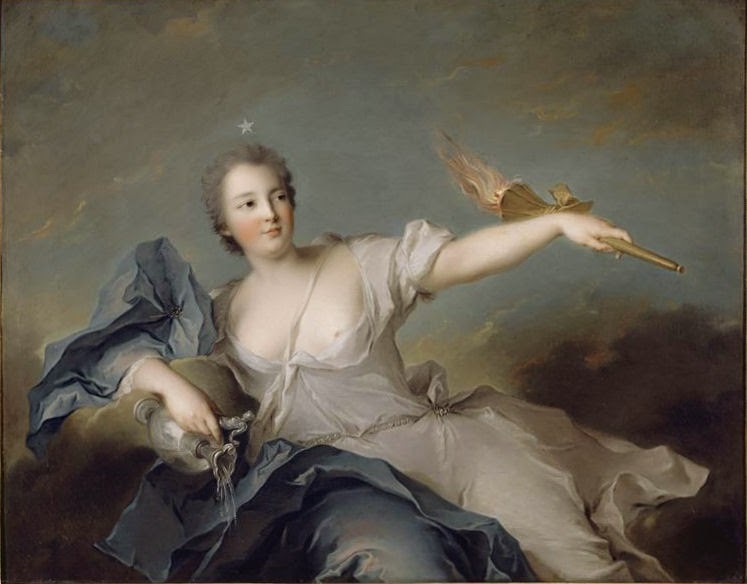 She married well, was widowed early and ended up the mistress of Louis XV. However, her life was not destined to be a long one and though her name has since been eclipsed by a certain Madame de Pompadour, for a time, Marie Anne de Mailly-Nesle was the apple of the king's eye. Marie Anne was actually the third daughter of her family to win the favour of the king and when she was elevated to the status of maîtresse-en-titre, she displaced her own sister, Louise Julie. Although this might have made family gatherings awkward had Louise Julie not been sent to a convent, Marie Anne had little care for such niceties. This was business, after all. Marie Anne had ambition that even her sister could not match and she secured for herself a salary, title and influence. The besotted king readily granted her wishes and it seemed that the young lady's meteoric rise would be unstoppable. However, all of that was to change when she died very suddenly at the age of twenty seven, leaving the king and court stunned. It has since been posited that Marie Anne fell victim to peritonitis and, as someone who has suffered from this unpleasant condition myself, my sympathies are all with her. It was a sad end to a short yet glittering life and one that I suspect we will be returning to here at the Guide in future months!